April 24, 2017 – Latitude 33 Aviation, managing the newest and largest fleet of light jets in the U.S., is proud to announce it has been awarded the prestigious ARGUS Platinum Rating, the highest safety certification issued by the Aviation Research Group International, Inc. (ARGUS). This designation is awarded only to world-class aviation operators with an exceptional Safety Management System (SMS), full-motion simulator training for all pilots, a clear and workable Emergency Response Plan, effective policies and procedures, and documented records for all major aspects of operations and maintenance. While several ratings and designations from various third-party organizations are used to determine the safety levels of private jet charter operators and brokers, the ARGUS Platinum rating is one of the few that requires a multi-day onsite audit of the business. As per a 2012 industry statistics compiled by ARGUS, out of 1,000 U.S.-based charter operators only 52, or five percent, have reached a Platinum rating. ARGUS is a specialized aviation services company with global expertise whose mission is to provide the aviation marketplace with the information needed to make informed decisions and manage risk. For more information, please visit www.argus.aero. Latitude 33 strives to provide the absolute best of what the private aviation industry has to offer, and this achievement is yet another way it demonstrates its commitment to its clients, partners, and employees. As the only ARGUS Platinum rated jet operator in San Diego, Latitude 33 Aviation proactively promotes a culture of safety which has resulted in a perfect record of over 40,000 hours of incident-free flights over the past decade. This unwavering commitment to superior service has made Latitude 33 Aviation a preferred operator for private jet charter clients, aircraft owners, and business jet manufacturers. 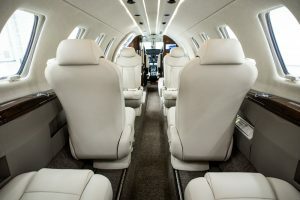 To learn more about private jet charter services or to schedule a viewing of the award-winning fleet, the concierge charter department can be reached at charter@L33Jets.com or 1-800-840-0310.